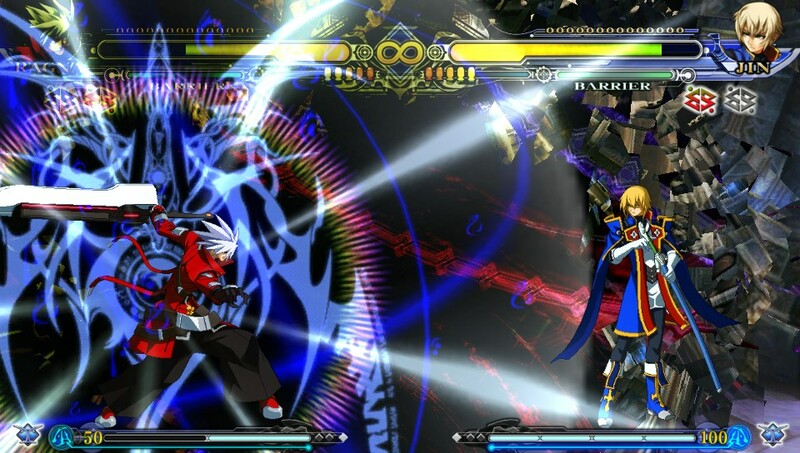 REVIEW: BlazBlue: Continuum Shift Extend is Arc System Works' latest effort in their hit 2D franchise. 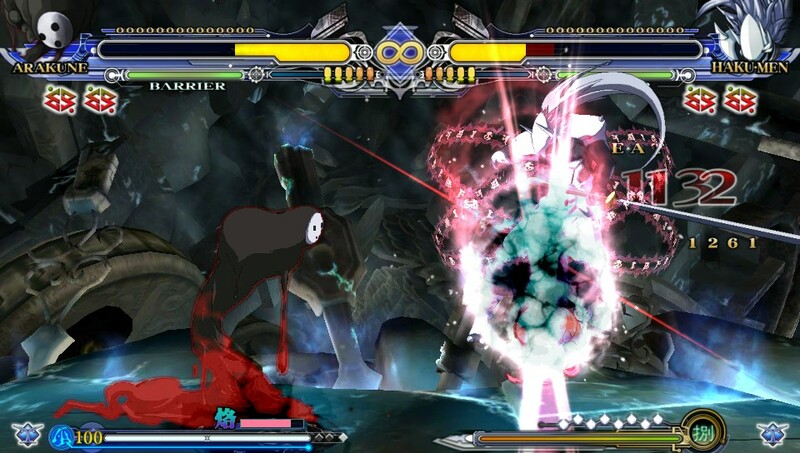 Seemingly using a similar release strategy to their previous Guilty Gear series and Capcom's SF2 series in the 90's, Arc System Works has already come out with 3 sequels to the original BlazBlue: Calamity Trigger... all of which receiving (some would say) "minor" updates along the way. As you might've expected, Extend is the compilation of everything the series has offered thus far. 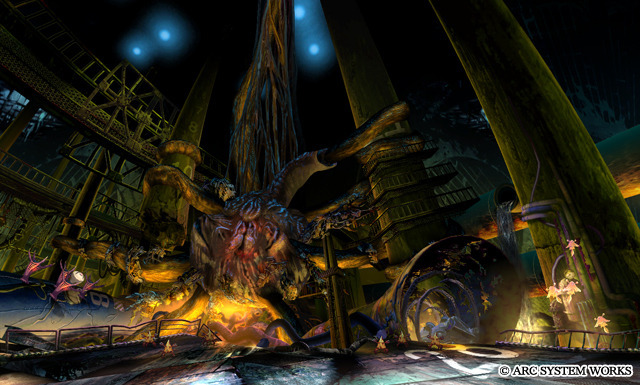 The good part about that is, none of the "good stuff" has been compromised since the original release. 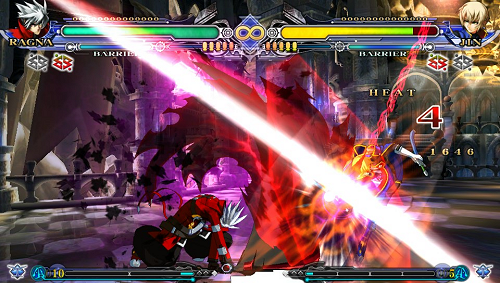 Extend offers the ultimate and most complete BlazBlue experience to date, featuring a main menu filled to the brim with 16 different modes, including: Story Mode (featuring 4 new paths for the previously DLC characters), Abyss Mode (an RPG-like mode where you can power-up your fighter), Challenge Mode (featuring new combo challenges for every fighter), and Unlimited Mars Mode (where you'll face off against insanely difficult opponents). 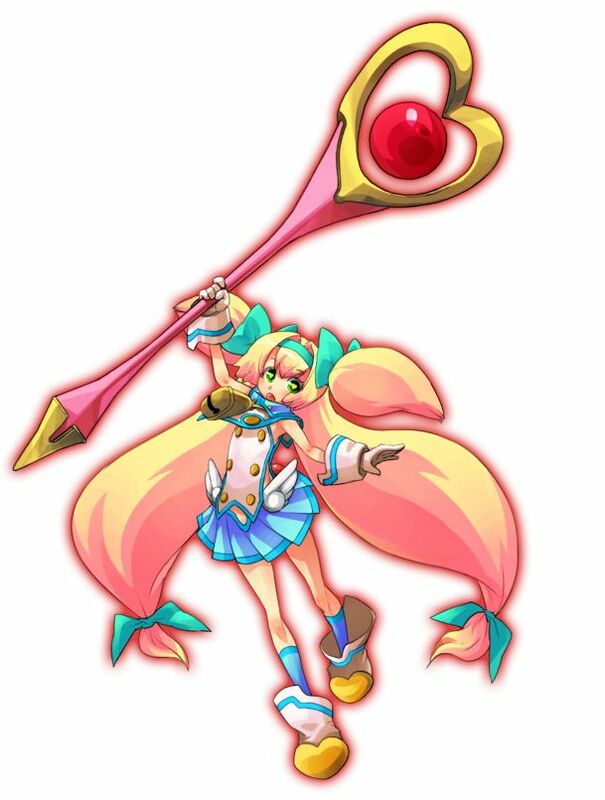 In addition to the 18 returning characters from Continuum Shift 2, Extend introduces one new character, Relius Clover. Finally, balance tweaks have also been made to the 18 returning fighters, all of which receive some new techniques as well. 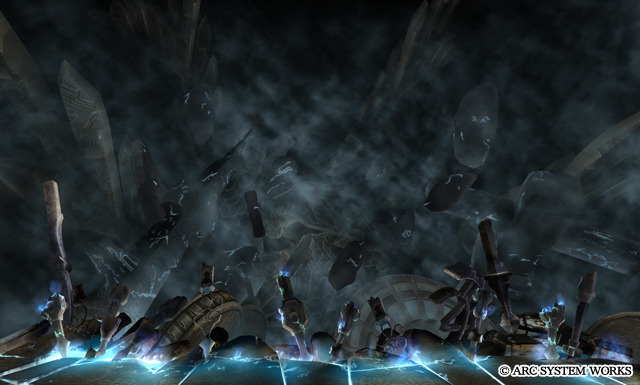 My review of Extend is exclusively for the PS Vita version. 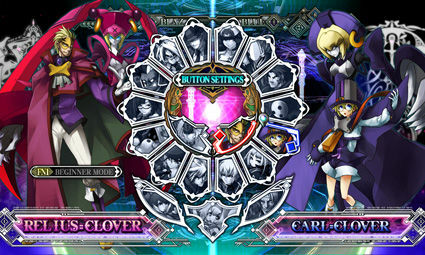 I took a pretty long break from BlazBlue... for starters, I didn't download/buy all of the characters to update my "vanilla" Continuum Shift to Continuum Shift 2. 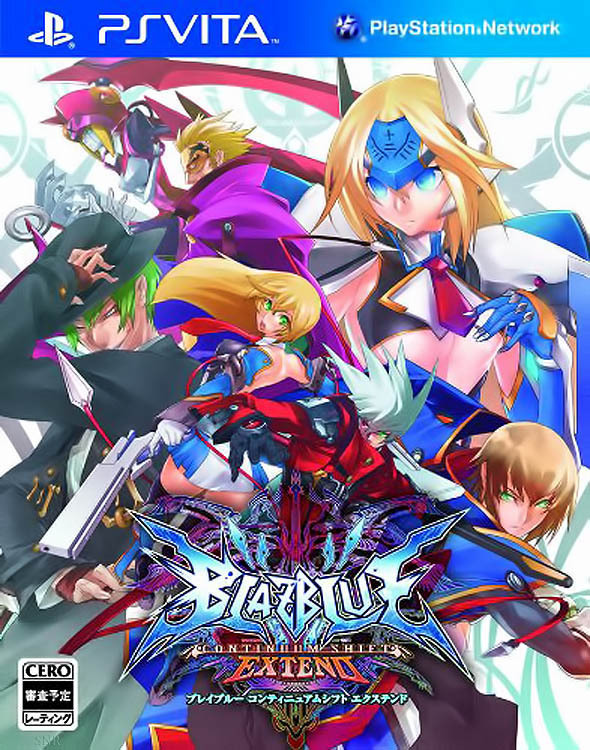 Since I'm not a serious BlazBlue player, I figured I'd save some money and just wait for the next "full" sequel... and what better way to get back into the series than with a shiny new, next-gen portable console? I actually tried the 3DS port of Continuum Shift 2 out of curiosity, but as I expected, the graphics are terribly downgraded. 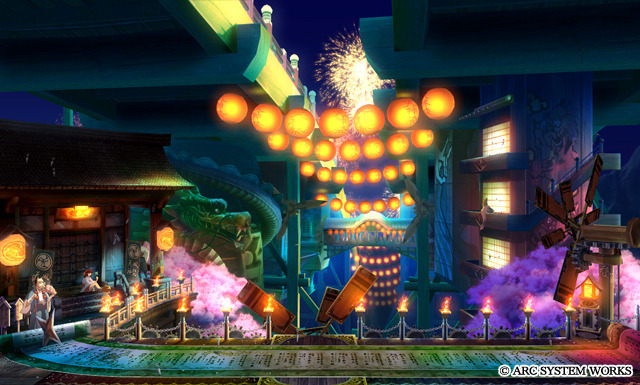 However, the PS Vita stepped up to the plate with Extend as a launch title, and simply knocked it out of the park. 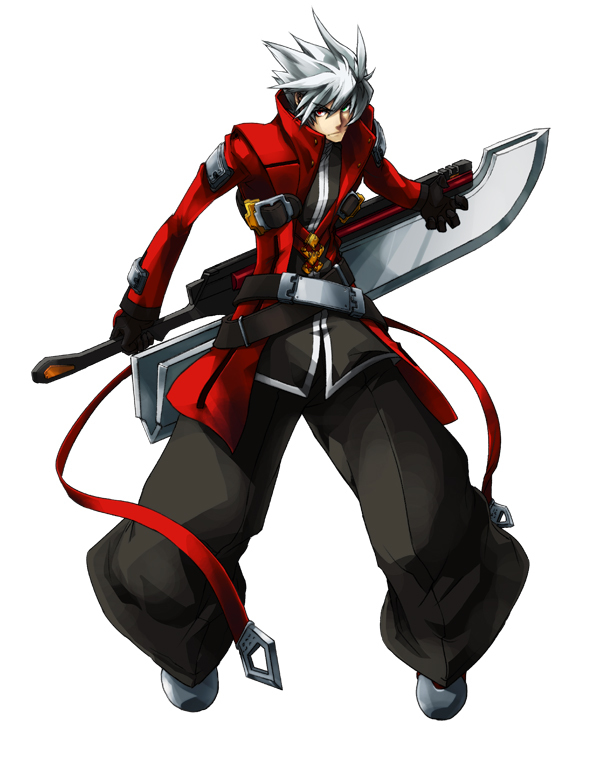 BlazBlue gained its reputation by being one of the most gorgeous 2D fighters of all time. 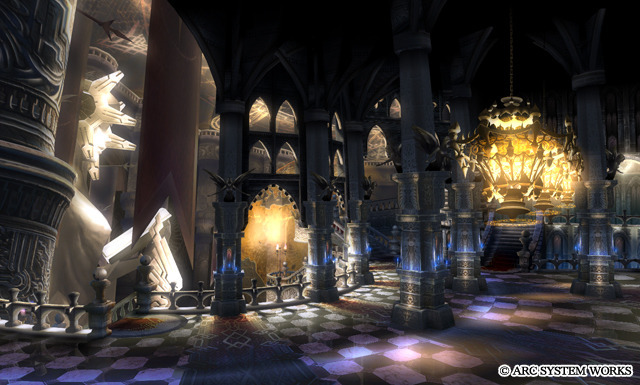 The game's translation to the PS Vita's amazingly sharp OLED screen is nothing short of magic. The depth & vibrancy of the colors and the crispness of the character sprites displayed on the Vita's small (but respectable) screen is a delicious treat for your eyes. 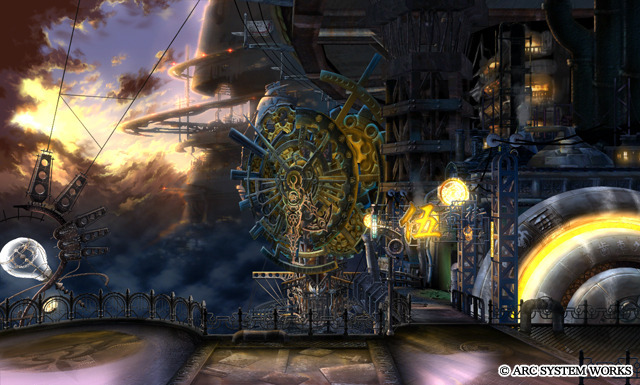 In fact, it's easily one of the most beautiful visual experiences you can get on the Vita out of all the launch titles! 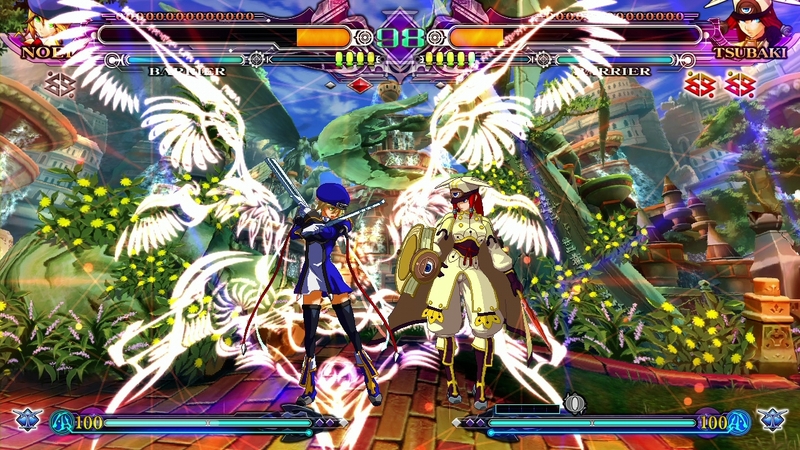 This portable version of BlazBlue is indeed on par with the PS3/360 versions, with hardly any visual compromises. 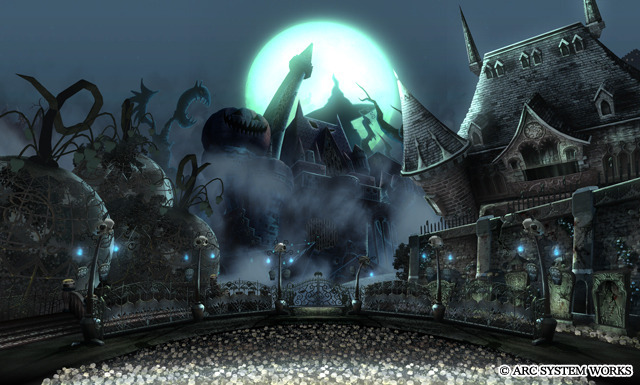 Extend on the PlayStation Vita proves that the system can do high-res 2D graphics without even the slightest hiccup, and that's a very good sign for the future of the system. Extend is among the best visual experiences you can get on the PS Vita! Extend's presentation begins with a brand new anime opening produced by Production I.G. and showcases a new theme song called "Sokyu no Hikari" by Faylan. Other than that, most of Extend's presentation is borrowed from the prequels; however, it is still very much visually (and audibly) beautiful. 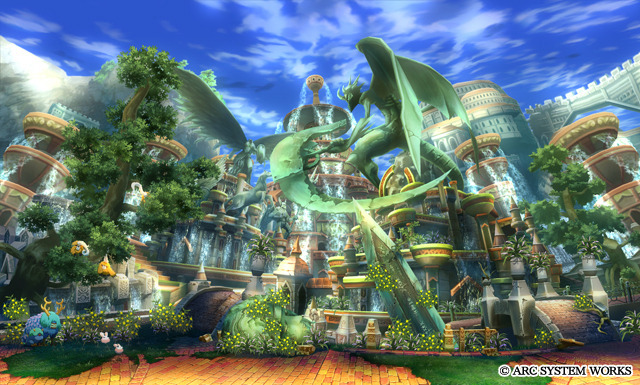 The versus screen, character selection, and main menu detail/animations never looked more impressive, actually. There's no drop in frame rate, no missing animations (that I could notice), and hardly any downsizing to those crispy, high-end character sprites. Amazing!!! Ports on handheld systems are commonly expected to be missing a few of the console features as well, but once again, the PS Vita version of Extend doesn't skimp on any details whatsoever. This is quite a feat for this game especially, since the console versions are packed with modes, hours upon hours of voiceovers (both in English and Japanese), feature an insanely long story mode, and plenty of bonus content. 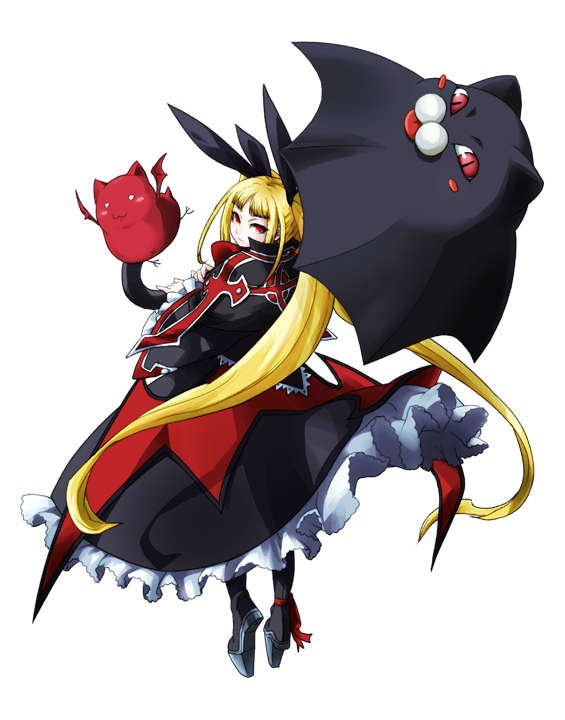 The Tutorial from Continuum Shift is intact, and is still fully voiced by Rachel Alucard. 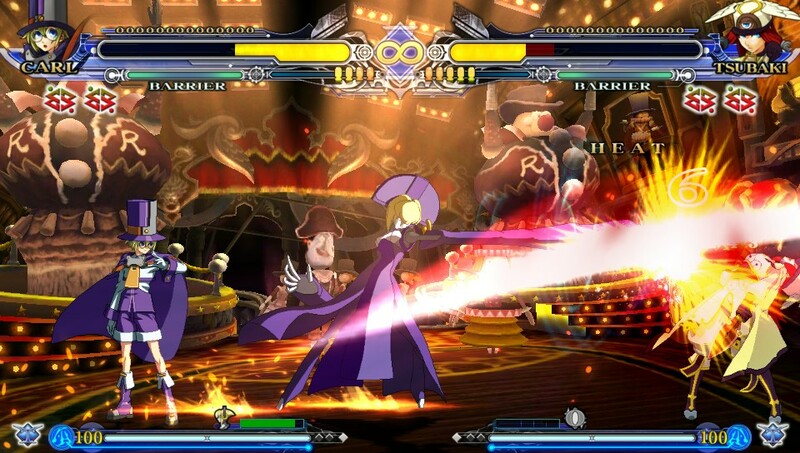 Rachel even goes on to explain the newest gameplay nuances of Extend, and there's even a tutorial for each and every character in the game. 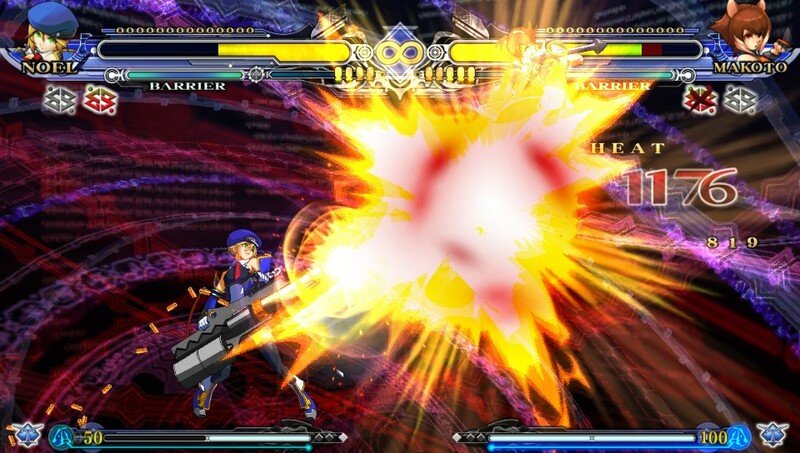 Needless to say, if you want to become a high level BlazBlue player, the Vita version has you covered. 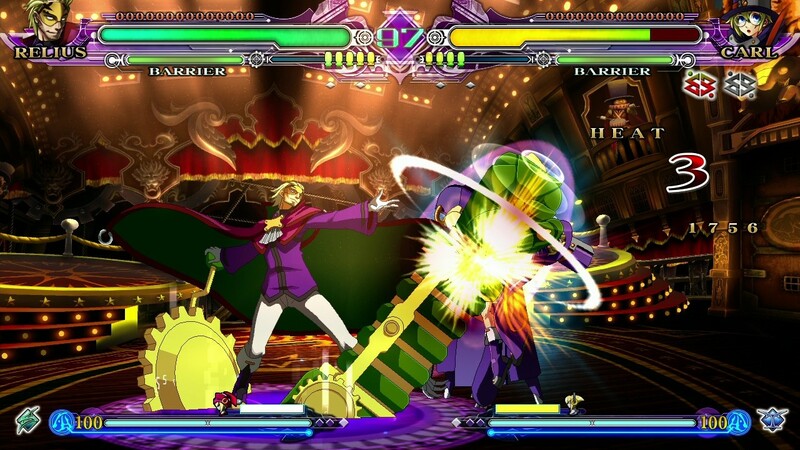 Like I've said before in my previous reviews, BlazBlue isn't really "my kind of fighting game" at the end of the day. I'll save you a few minutes and not list the reasons why, but to my surprise, Aksys actually included a sort of "easy mode" in the game called Stylish Mode. 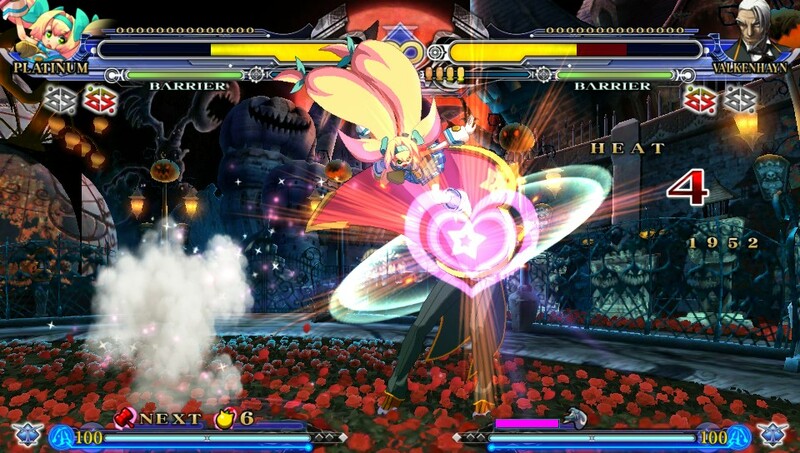 This intuitively designed play setting abbreviates the complexity of BlazBlue's mechanics, and allows anyone to perform badass air combos & special moves with the ease of single button presses. 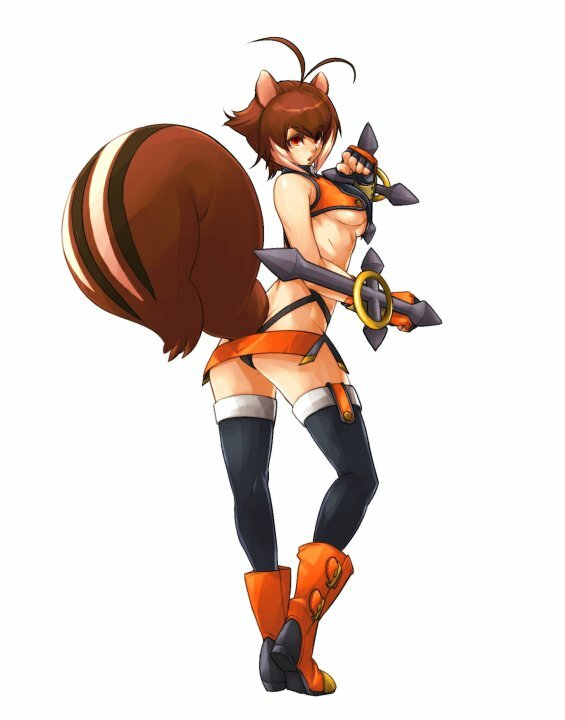 It's true that I detest fighting game "button mashers," so I guess I'm being a bit of a hypocrite when I say that I really enjoy Stylish Mode. 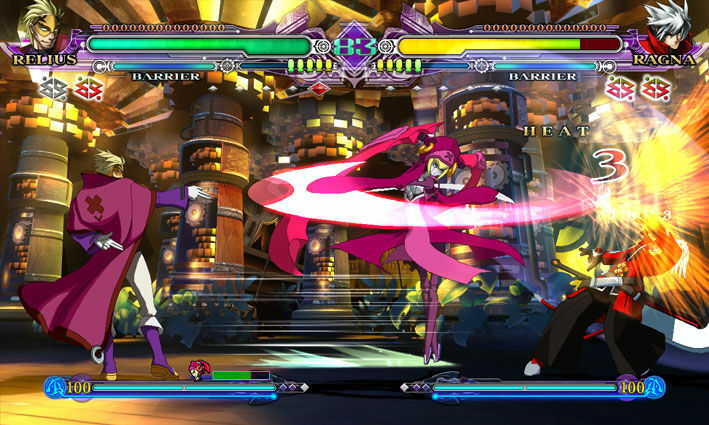 For a casual BlazBlue player like me (whom also doesn't want to wear out the D-pad on his shiny new PS Vita), the Stylish setting really comes in handy and allows me to effectively use characters that I wouldn't normally take the time to learn. 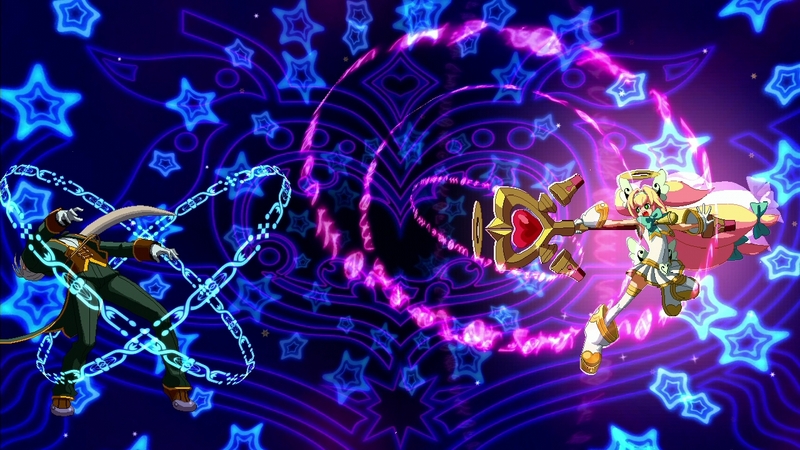 You can even use Stylish Mode online if you like, but it would seem a "high level" player using Normal Mode will be able to take out a Stylish Mode user with relative ease. On that note, playing online against other players worldwide is a breeze, and believe it or not, the game runs nearly as smoothly as it does on PS3 & 360! While not perfect, the online mode of Extend is very much adequate and is packed with all of the staple features of the console version! In addition, online "team battles" are now featured for the first time ever. 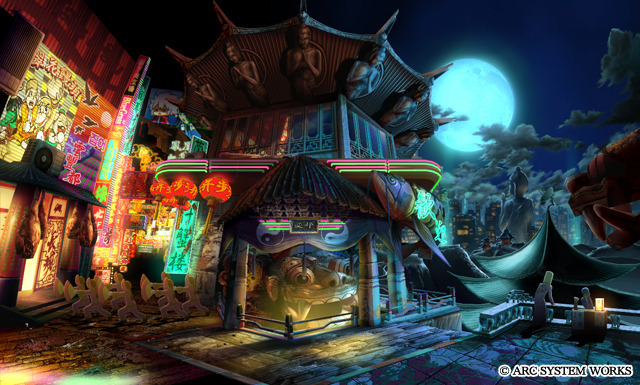 At the very least, this is a great showcase of what the PS Vita will be able to do with fighting games in the future! One more bizarre character joins the fray... Carl Clover's father. 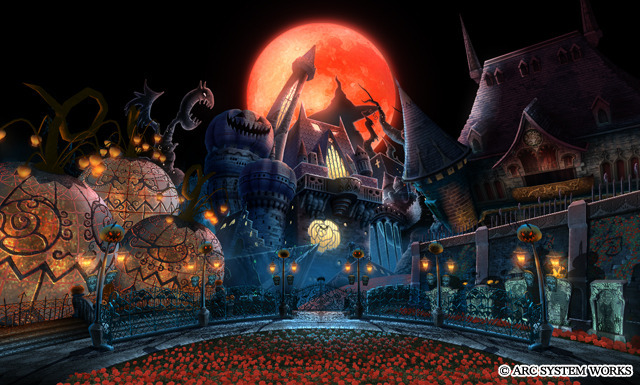 Blazblue's Story Mode borrows most of its contents from earlier installments, but presents new story paths for Makoto, Valkenhayn, Platinum and Relius. 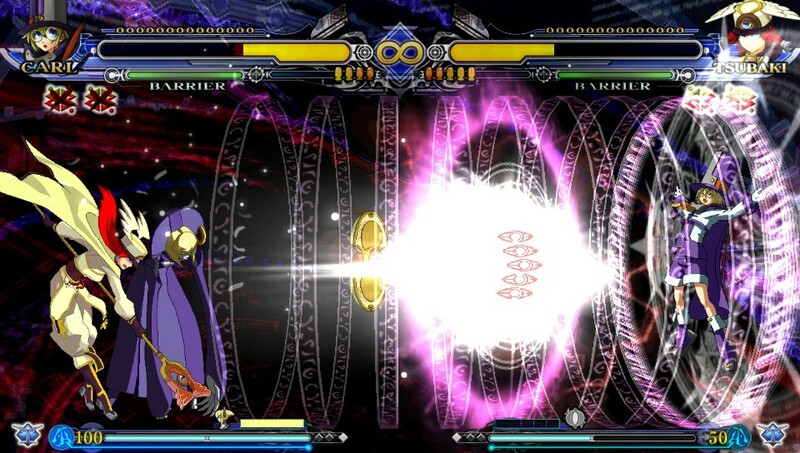 I only played through the main BlazBlue storyline once (a few years back), so a lot of it actually seems new to me. In its entirety, BlazBlue's story is literally the length of a novel, with pages upon pages of text to click through. 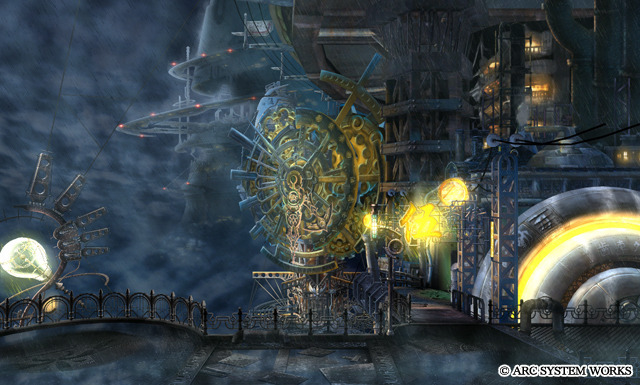 Thankfully, beautifully drawn 2D artworks of settings and characters allow you to forget you're reading text. 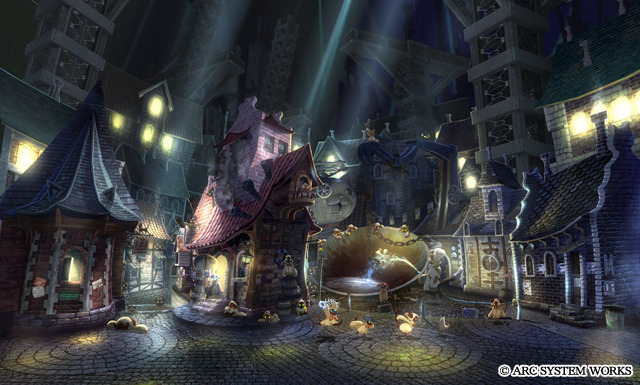 The length of the story is only overshadowed by the amount of actual spoken dialogue it contains, which is done by some impressive voice talent. The enthusiastic and highly entertaining voiceovers encourage you to slow down and enjoy Story Mode, rather than just skim through it. While the storytelling is well-written and has its intriguing moments, it can (and will) become monotonous. Each individual scene with two (or more) characters interacting can range anywhere from 10 to 20 minutes (if you don't skip anything). Characters tend to go off on wild tangents, drifting far, far away from the main storyline. Their shameless "small talk" usually takes prominence over the actual plotline, and while it can be hilarious at times... it does get excessive. While I condone the absence of a "fighting game tournament" plot, I tend to wonder why characters are talking about each other's eating habits, endlessly reminiscing on past events, or repeating what they just said in a different way.... all which finally ends up culminating to "Ohh, and by the way, I have these documents I meant to give you to get us back to the main storyline" (14 minutes later). It's pretty awesome that they flesh out the characters in such a way, but many interactions really should be streamlined a bit. In any case, I'm not about to "complain" about the length of a fighting game storyline.... Fabulous stuff Arc System Works! I'm enjoying it. I even got my girlfriend halfway interested in this game's story mode! Hehe. 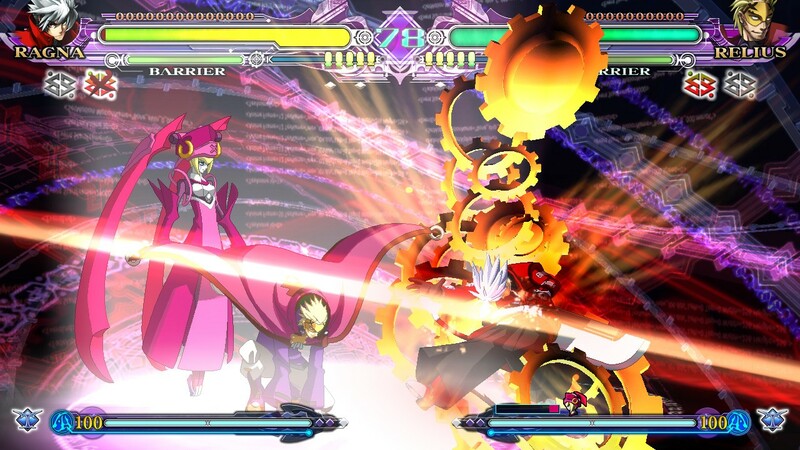 Final Words: If for some reason you haven't tried out BlazBlue, or you're looking to get back into the series, Extend is the way to go. Much of the content, music, and gameplay is the same song and dance, but that doesn't make this version any less impressive. 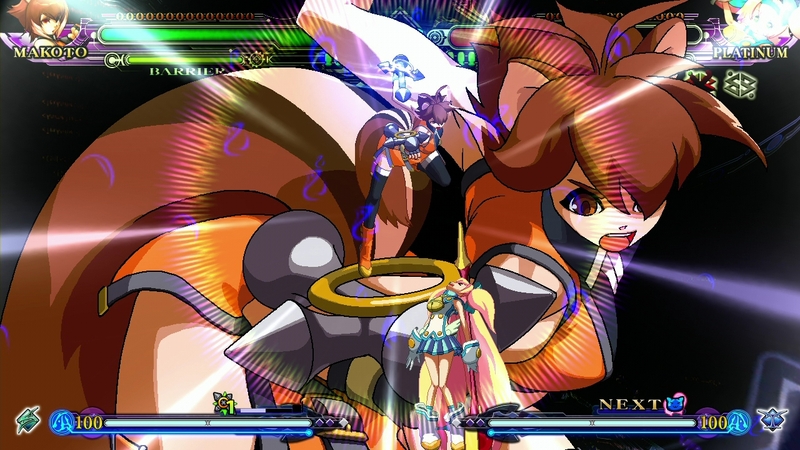 Extend is packed with modes galore and boasts the most spoken dialogue of any fighting game to date, by far. 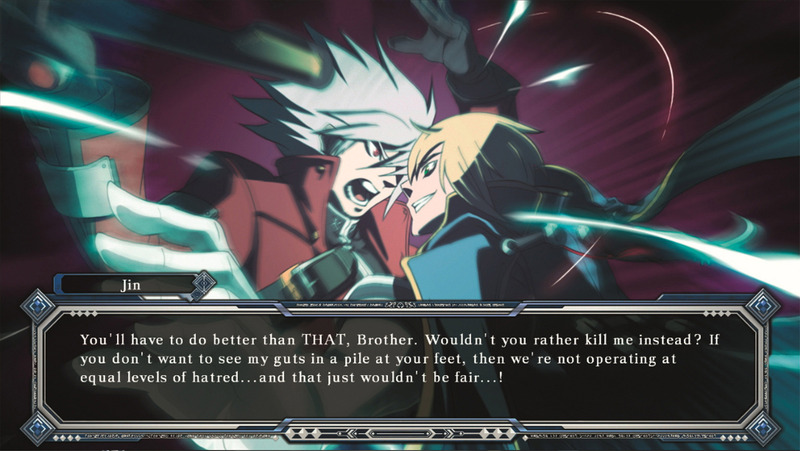 Not even considering the vast Story Mode, the unique character-to-character interactions before, during, and after battles is a trademark quality to BlazBlue that other fighting games need to take notes on. Worth mentioning, the PS Vita's "standby" feature actually suits some of the modes better than the console version. 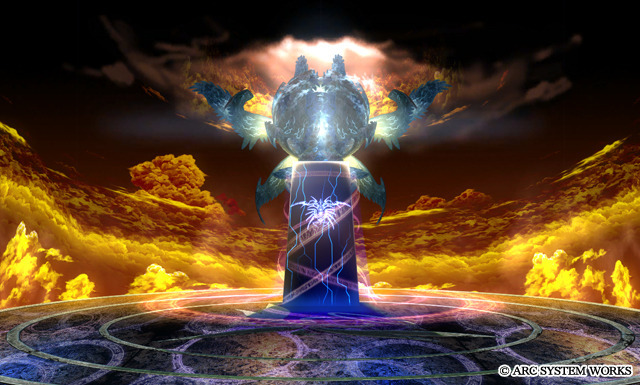 I personally found it a bit tedious to sit in front of my TV and scroll through pages of text in story mode, or take enough time to play through some of the other time-consuming modes. The fact that PS Vita enables you to pause your game, browse some other features on the system if you like, and then quickly resume where you left off later on really comes in handy! 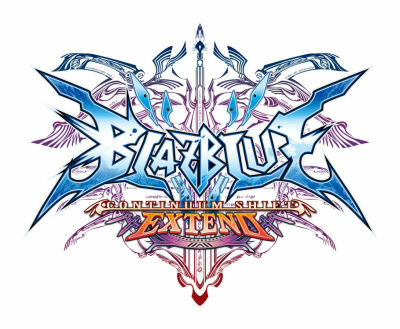 Even though it's a bit short on actual "new" content, BlazBlue: Continuum Shift Extend is a solid package, and easily one of the best launch titles for Vita. I wish there were a few more touch screen features implemented, but otherwise, this feature-rich portable fighter is a solid representation of what the Vita is capable of. It's also hard to believe they managed to fit so much content onto that tiny game card. 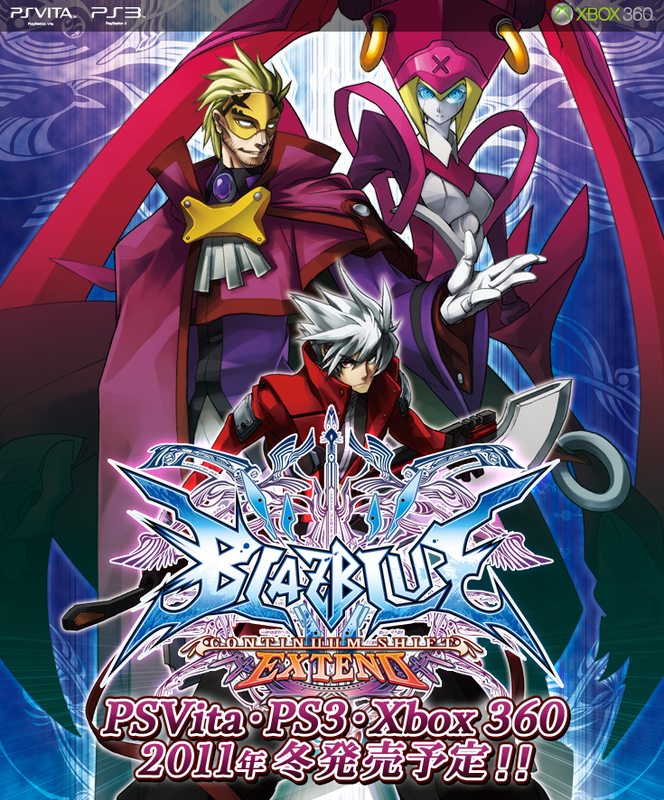 If you own a Vita and you're a 2D fighting game enthusiast, you'd be smart to pick this up. Click Here for all character art!